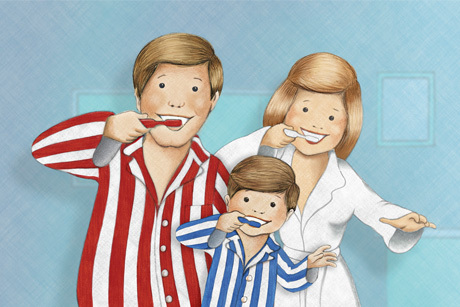 Aquafresh has picked Unity to lead a PR drive to appeal to mums. The GlaxoSmithKline-owned brand called in the agency for a three-year retainer following a three-way pitch shoot-out. Unity, which has previously handled project work for Aquafresh, will work as part of an integrated brief alongside media agency Mediacom and creative firm TBWA. Unity co-founder Nik Done will lead the work,reporting to GSK senior brand manager Katharine Osmond. Done said the initial focus would be on media relations and digital, before becoming more campaign-focused next year. Social media and experiential will be among key aspects of the work. She said: ‘Aquafresh has not done a major PR push for a long time but this will be an all-singing, all-dancing campaign. This year it is about getting across the key basics in a clever way and then moving forward. For the pitch, agencies were asked to devise a three-year strategy based around the campaign. Aquafresh is part of FMCG giant GSK’s consumer healthcare portfolio.